As you surf the Web, from time to time you may have seen the occasional exhortation to “follow our feed”, accompanied by an orange-and-white logo that looks as if it ought to be something to do with WiFi, and occasionally also by the mysterious letters “RSS”. Despite the logo’s appearance, it’s nothing to do with WiFi, although it does have a connection of a sort with broadcasting. Web feeds are a way of allowing your website’s new content to be followed automatically by others (other humans or other websites) as you add it. As an example, you can see this site’s feed by clicking on the picture to the left. Why might you want to create a feed? There are several reasons why creating a feed might help boost your traffic. Not everyone has all day to visit websites where they’ve enjoyed reading the occasional article, just to check and see if there’s anything new that might interest them. Web feeds are a simple but very effective way of letting busy people review your site’s new content at a glance without actually having to visit. Various directories and search engines base their results on feeds. Adding a feed to your site gives you a presence on those potential sources of traffic. Web feeds allow you to establish a presence for your website on other websites – yours and other peoples. By adding a widget on a web page, the remote website can automatically keep its visitors abreast of the latest posts you’ve added to your site. Persuade webmasters of sites with a related theme to your own to include such a widget on their sites, and you may end up with a new stream of loyal followers. Feeds don’t have to be limited to new articles or blog posts – you can also use them to send out “newsletter”-type messages to your feed’s followers. So what does “RSS” mean? Although “RSS” is commonly used as a synonym for the generic term “web feed”, it’s actually only one of numerous formats of web feed. The letters stand for RDF Site Summary, but are commonly rendered as “Really Simple Syndication”. The other main format in use is called Atom. 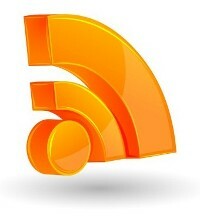 Although it has several technical advantages over RSS, RSS was quicker to make it into feed readers and has thus become the more widely used format of the two. What’s involved in creating a feed? Very little, is the short answer! It’s simple enough to set up a feed – many of the more popular site content management systems have them built in. There are also free-standing providers of feed management services, of which FeedBurner (part of the Google empire since 2007) is perhaps the best-known. It can’t hurt, anyway. I’m not a big follower of feeds myself, but I know there are some big fans of them. And it’s so easy to set them up that for the sake of the couple of minutes required, you might as well – it’s a quick and painless way of satisfying customer demand.